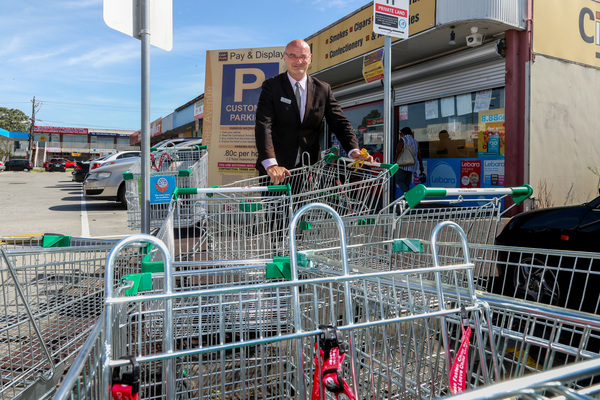 Greater Dandenong has won a battle in its war on shopping trolleys. At their Tuesday 12 June meeting, councillors agreed to proceed with a plan to make coin operations mandatory on carts in the municipality. In February the Journal reported that Cr Sean O’Reilly’s frustration with dumped shopping trolleys had hit breaking point and he’d suggested a new local law could combat the “shopping trolley wasteland”. Cr Tim Dark took the next step and moved the local law change. “The City of Greater Dandenong has many different shopping centres and with these centres come a substantial amount of trolleys,” he said. Cr Dark said the City of Casey had taken similar action with good results, and coin-access trolleys were working at Dandenong Plaza. City design, planning and amenity director Jody Bosman said the next step was public consultation, including with affected shopping centres. He said the issue would then return to the council for discussion before a change could take place. Cr O’Reilly welcomed the motion. “I’m sick of lazy inconsiderate individuals leaving their shopping trolleys,” he said. He said it was unsightly, messy and potentially damaging for cars. “We want a tidy city,” he said.